Let your career take you here. Be a physician in Anchorage, Alaska at the Alaska Native Medical Center, one of the nation's most unique hospitals located in the nation's most unique state. The ANMC hospital is an award-winning, state-of-the-art, 173-bed facility that provides comprehensive medical services to Alaska Native and American Indian people living in Alaska. ANMC is both an adult and pediatric Level II Trauma Center. ANMC also brings care closer to home for patients across our large state – our providers are world leaders in telehealth and they often travel the state providing thousands of hours of service at field clinics. Our work in the Alaska Tribal Health System is complex, rewarding and critical to the health of thousands of families and individuals. If you are interested in joining us, please read our open positions and learn more about these special opportunities by contacting our physician recruitment team. The Alaska Native Medical Center (ANMC) is an award-winning Level II Trauma Center that serves as the tertiary referral center for Alaska Native and American Indian people from across the state. Our unique patient population, breathtaking geography and collaborative team, make this a one-of-a-kind practice opportunity! In this full-time role, you will work in collaboration with two additional advanced level providers and our physician team, managing the full scope of family medicine patients in a new Walk-in Clinic on our hospital campus. No inpatient management or on call coverage required. Work Schedule: Full time; Monday through Sunday; four alternating 12-and 8-hour shifts per week – 9 AM to 9PM and 8:30 AM to 5 PM; no on-call requirements. Qualifications: APN: Master’s Degree in Nursing; Certification as a Family Nurse Practitioner by an approved national certifying body; Drug Enforcement Administration (DEA) Certification; State of Alaska Advanced Practice Nurse License. PA: Master’s Degree in Physician Assistant Studies or related field; Board certified by the National Commission on Certification of Physician Assistants (NCCPA); Drug Enforcement Administration (DEA) Certification; State of Alaska Physician Assistant License. APN/PA: 2 to 5 years’ experience as an advanced level provider managing patients in an outpatient setting; astute clinical skills; superior communication and relationship building skills; flexible team player; confident in independently managing patients; comfortable working with computers and EMR. Ranked among the "Top 10 Best Cities to Live," Anchorage is a majestic, family-friendly city of 300,000, flanked by the Chugach Mountains and the ocean. Set in scenic Southcentral Alaska, Anchorage combines a thriving cultural and urban sophistication with unparalleled year-round opportunities for the outdoor enthusiast. With excellent public and private schools, two universities and a vibrant international airport, Anchorage offers the best of metropolitan amenities with small town values. As an added benefit, there is no state income tax and no sales tax in Anchorage! If you seek a meaningful practice where you can truly make a difference, while continually enhancing your skills, consider joining our dedicated, compassionate team! For more information, please call Roberta Renaldy at (907) 268-9604 or toll-free at 855-344-5744. Please send your CV to physicians@anthc.org. Unique Primary Care opportunities in Alaska! The Alaska Native Tribal Health Consortium (ANTHC) is seeking primary care providers to deliver health care services throughout the state of Alaska at various Tribal health organizations. 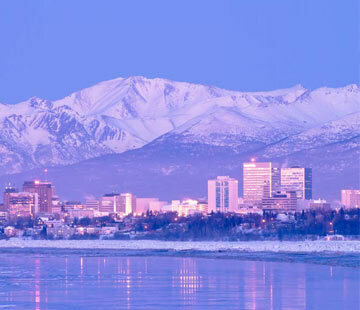 The hub of the medical practice is located in Anchorage, Alaska with periodic rotations to regional health centers. Each rotation will vary in time and location, dependent upon regional needs and the provider’s availability. As an employee of the ANTHC, there are opportunities for the primary care provider to deliver a wide range of health care services and procedures consistent with their skillset both in Anchorage and the regions. There are great opportunities in both inpatient and outpatient settings, with or without obstetrics, with or without emergency department coverage, and teaching in the Community Health Aide Program. 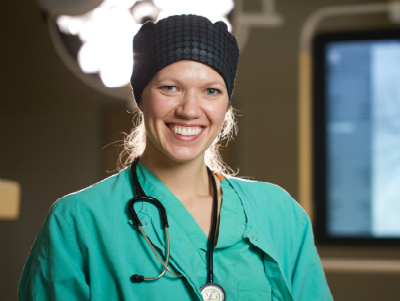 Specialists at Alaska Native Medical Center (ANMC) are available to consult remotely or accept patients in transfer. The unique patient population, breadth of pathology and enormous catchment area make this a one-of-a-kind opportunity! Providers working for ANTHC come to realize that the care they provide is important, appreciated, and makes a difference in the lives of the Alaska Native and American Indian people they serve. They are often times reminded that this is the reason they chose to practice medicine. 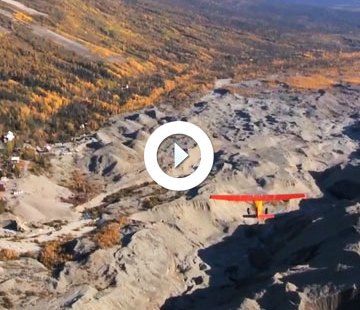 ANTHC provides a competitive salary (no state income or Anchorage municipal sales tax). Compensation package includes medical, dental and vision insurance; malpractice coverage; life insurance with short-term and long-term disability; retirement plan with optional match; additional tax-deferred plans; Work/Life Balance with a flexible schedule, sign-on bonus with a two year contract, CME and relocation allowances. For further information, contact Denise Moreland at 907-729-4025 or email drmoreland@anthc.org. The Alaska Native Medical Center (ANMC), an award winning Level II Trauma Center, seeks a Community Health Aide Program (CHAP) Instructor to join our growing team in Anchorage, AK. With more than 20 medical specialties, ANMC serves as the tertiary referral center for Alaska Native and American Indian people across the entire state. Our unique patient population, cohesive team, and the chance to make a positive impact on the delivery of quality health care across Alaska, make this a one-of-a-kind career opportunity! Working in collaboration with 10 instructors and 2 medical directors you will develop, deliver and evaluate training to students and practitioners throughout Alaska, ensuring training systems are results-oriented and meet statewide CHAP standards. In addition, you will use your clinical expertise to provide care to outpatients at various clinics on the ANMC Campus. Work Schedule: Full-time or part-time; Monday through Friday; day shift hours; no evenings, weekends or on-call required; voluntary opportunity to conduct field visits across Alaska. Required Qualifications: Completion of an accredited Physician Assistant or Nurse Practitioner training program; certification by an approved national certifying body; state of Alaska APN/PA licensure; 2 years’ experience as an advanced level provider managing patients in primary care; astute clinical skills; knowledge of adult learning principles and lesson plan development; superior teaching, facilitation and organizational skills; excellent communication and relationship building skills; flexible team player; culturally sensitive; comfortable working with computers and EMR. Preferred Qualifications: Master’s Degree in Nursing or Physician Assistant Studies with a Family Practice focus; experience as an advanced level provider in primary care in remote areas of Alaska working with Community Health Aides/Practitioners. Ranked among the "Top 10 Best Cities to Live," Anchorage is a majestic, family-friendly city of 300,000, flanked by the Chugach Mountains and the ocean. 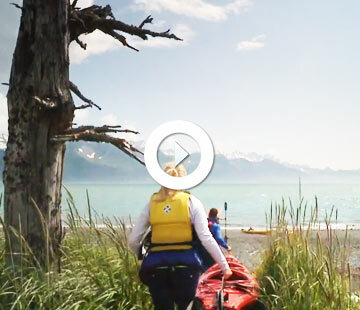 Set in scenic South central Alaska, Anchorage combines a thriving cultural and urban sophistication with unparalleled year-round opportunities for the outdoor enthusiast. With excellent public/private schools, 2 universities and a vibrant international airport, Anchorage offers the best of metropolitan amenities with small town values. As an added benefit, there is no state income tax in Alaska and no sales tax in Anchorage! If you seek a meaningful practice where you can truly make a difference, while continually enhancing your skills, join our dedicated, compassionate team at Alaska Native Medical Center. The Alaska Native Medical Center (ANMC), an award-winning Level II Trauma Center, seeks a family medicine physician to serve as part-time Medical Director for our Community Health Aide Program (CHAP) in Anchorage, AK. With more than 20 medical specialties, ANMC serves as the tertiary referral center for Alaska Native and American Indian people across the entire state. Our unique patient population, cohesive team, and the chance to make a positive impact on the delivery of quality health care across Alaska, make this a one-of-a-kind career opportunity! Working in collaboration with a program director, an assistant medical director and 11 instructors, you will provide medical leadership for the CHAP Training Program including: supervising advanced level providers, delivering classroom, online and clinical training to community health aide students/practitioners throughout Alaska, auditing and reporting on competencies and quality metrics, and ensuring curriculum and training systems are effective and meet statewide CHAP standards. In addition, you will use your clinical expertise to provide care to outpatients at various clinics on our hospital campus. Work Schedule: Part time – 20 to 32 hours per week; Monday through Friday; day shift hours; no evenings, weekends or on call required; voluntary opportunity to conduct field visits throughout Alaska. Required Qualifications: Completion of an ACGME/AOA approved residency in Family Medicine; Board Certified in Family Medicine with a minimum of 5 years’ clinical experience; knowledge of adult learning principles; superior teaching, facilitation and organizational skills; excellent communication and relationship building skills; flexible team player; culturally sensitive; comfortable working with computers and EMR. Preferred Qualifications: Experience caring for patients and working with community health aides in rural Alaska. Ranked among the "Top 10 Best Cities to Live”, Anchorage is a majestic, family-friendly city of 300,000, flanked by the Chugach Mountains and the ocean. Anchorage combines a thriving cultural and urban sophistication with unparalleled year-round opportunities for the outdoor enthusiast. With excellent public/private schools, two universities and an international airport, Anchorage offers the best of metropolitan amenities with small town values. As an added benefit, there is no state income tax in Alaska and no sales tax in Anchorage! Alaska Native Medical Center (ANMC) seeks a Gastroenterologist to join our collegial team of two physicians in Anchorage, Alaska. As a Level II Trauma center, the highest trauma designation in Alaska, ANMC represents more than 20 medical specialties and serves as the tertiary referral center for Alaska Native and American Indian people from across the state. Our unique patient population, breathtaking location and collaborative team make this a one-of-a-kind practice opportunity! Your practice will consist of a combination of outpatient clinics, inpatient consults and procedures. Work Schedule: Monday through Friday; on-call 1:4 weeks; no evenings or weekends except when serving on-call. Qualifications: Completion of an ACGME/AOA approved residency in Internal Medicine and fellowship in Gastroenterology; BE/BC in Gastroenterology; collaborative team player with excellent interpersonal skills; culturally sensitive. Ranked among the "Top 10 Best Cities to Live," Anchorage is a majestic, family-friendly city of 300,000, flanked by the Chugach Mountains and the ocean. Set in scenic Southcentral Alaska, Anchorage combines a thriving cultural and urban sophistication with unparalleled year-round opportunities for the outdoor enthusiast. With excellent public and private schools, 2 universities and a vibrant international airport, Anchorage offers the best of metropolitan amenities with small town values. If you seek a meaningful practice where you can truly make a difference while continually enhancing your skills, join our dedicated, compassionate team at Alaska Native Medical Center. 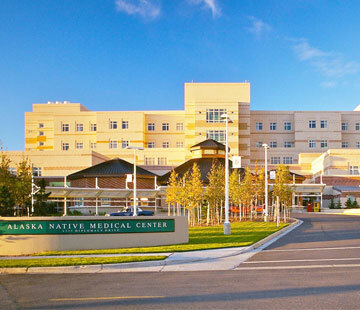 The Alaska Native Medical Center (ANMC), an award winning Level II Trauma Center seeksa Nurse Practitioner to join our growing Gastroenterology team. 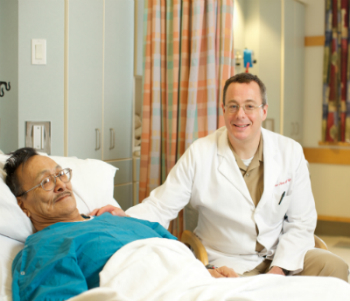 With more than 20 medical specialties, ANMC serves as the tertiary referral center for Alaska Native and American Indian people across the entire state. Our unique patient population, breathtaking geography and cohesive team, make this a one-of-a-kind practice opportunity! Working in collaboration with three physicians, you will manage comprehensive outpatient care for new and follow-up adult gastroenterology patients in a state-of-the-art clinic located on our medical center campus in Anchorage, AK. Responsibilities include: completing comprehensive histories and physical exams; ordering and interpreting tests; prescribing medications; developing treatment plans; and educating patients/families on treatment options procedures and the plan of care. Work Schedule: Full time; Monday through Friday; 8 AM to 5 PM; no evenings, weekends or on call required. Required Qualifications: Master’s Degree in Nursing; Certification as a Family or Adult Nurse Practitioner by an approved national certifying body; Drug Enforcement Administration (DEA) Certification; State of Alaska Advanced Practice Nurse License. 2 to 5 years’ experience as an RN managing adult patients on a medical/surgical unit, in an endoscopy/GI Lab or an outpatient IM/FM practice; astute clinical skills; superior communication and relationship building skills; flexible team player; culturally sensitive; hospital privileging/credentialing required prior to beginning employment. Preferred Qualifications: Prior experience as a Nurse Practitioner or RN managing patients in a Gastroenterology practice; experience caring for a native patient population. Ranked among the "Top 10 Best Cities to Live," Anchorage is a majestic, family-friendly city of 300,000, flanked by the Chugach Mountains and the ocean. Set in scenic Southcentral Alaska, Anchorage combines a thriving cultural and urban sophistication with unparalleled year-round opportunities for the outdoor enthusiast. With excellent public/private schools, 2 universities and a vibrant international airport, Anchorage offers the best of metropolitan amenities with small town values. As an added benefit, there is no state income tax in Alaska and no sales tax in Anchorage! The Alaska Native Medical Center (ANMC) in Anchorage, Alaska seeks an Otolaryngologist to join our busy, growing team. As a Level II Trauma center, the highest trauma designation in Alaska, ANMC represents more than 30 medical specialties and serves as the tertiary referral center for the Alaska Native and American Indian people from across the entire state. ANMC is a three time Magnet-designated facility for nursing excellence and the only Magnet-designated hospital in Alaska. As a hospital based general ENT practice serving adult and pediatric patients, you will receive extensive exposure to the entire scope of the specialty with an emphasis on otology, cancer and trauma. Our surgeons operate 2 full days per week in state-of-the-art operating rooms and manage clinic patients 2.5 days a week in a new, modern ENT/Audiology clinic. On call responsibilities are 1:9 weeks and include consultations for inpatients, emergency department visits, and responding to inquiries regarding acute patient management across the state. Additional responsibilities include managing patients at rural outreach field clinics and regional hospitals, as well as providing telemedicine consults utilizing our world renowned telemedicine program, Alaska Federal Access Health Care Network – www.afhcan.org. Ranked among the “Top 10 Best Cities to Live, Anchorage is a family friendly city of 300,000, surrounded by the Chugach Mountains and the ocean. 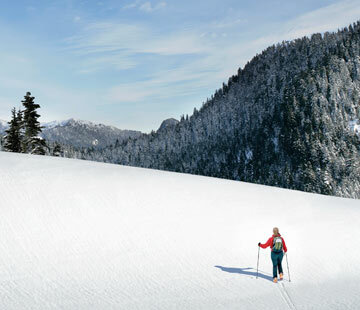 Set in scenic Southcentral Alaska, Anchorage combines a thriving cultural and urban sophistication with unparalleled year-round opportunities for the outdoor enthusiast – our campus connects to a trail system that extends for more than 250 miles! With excellent public and private schools, two universities and a vibrant international airport, Anchorage offers the best of metropolitan amenities with small town values. As an added benefit, there is no state income tax and no sales tax in Anchorage! If you seek a meaningful practice where you can truly make a difference, while continually enhancing your skills, join our dedicated, compassionate team at ANMC. To learn more, please visit our website at www.anmc.org/services/ear-nose-throat/#overview. 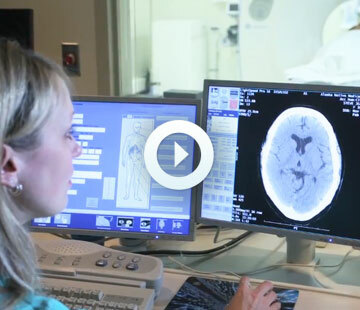 The Alaska Native Medical Center (ANMC) seeks a Diagnostic Radiologist to join our growing team of 12 Radiologists. As a 173-bed Level II Trauma center, the highest trauma designation in Alaska, ANMC represents more than 20 medical specialties and serves as the award-winning tertiary referral center for Alaska Native and American Indian people from across the state. Our unique pathology, cohesive team and breathtaking geography make this a one-of-a-kind practice opportunity! Our comprehensive practice, serving adult and pediatric patients, offers exposure to a broad complement of medical imaging services including: Radiography, CT, MRI, US, Fluoroscopy, Mammography and Non-Vascular Lite-Interventional procedures; no PET, Nuclear Medicine, or Angio-Interventional work required. Work schedule:Monday through Friday, 8 AM to 5 PM; on-call 1:11 weeks; contracted teleradiology service in place from 10 PM to 8 AM. Qualifications: Completion of an ACGME/AOA accredited residency program in Radiology; BE/BC by the American Board of Radiology; Mammography skills highly desirable but not required. Ranked among the “Top 10 Best Cities to Live," Anchorage is a family friendly city of 300,000, surrounded by the Chugach Mountains and the ocean. Anchorage combines a thriving cultural and urban sophistication with unparalleled year-round opportunities for the outdoor enthusiast. With excellent public and private schools, two universities and an international airport, Anchorage offers the best of metropolitan amenities with small town values. As an added benefit, there is no state income tax and no city sales tax! If you seek a meaningful practice with the opportunity to make a difference while continually enhancing your skills, consider joining our dedicated, compassionate team at ANMC! Miles of hiking, biking, and jogging trails. Urban sophistication and outdoor adventure — Yes, you can have it all! 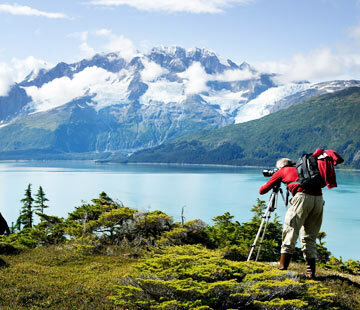 Framed by mountain ranges and the ocean, few cities combine natural beauty, outdoor recreation, history, culture and urban lifestyles more impressively than Anchorage, Alaska. If the quality of your personal life is as important as the quality of care you provide your patients, the Alaska Native Medical Center is a perfect fit for you. Please include a PDF version of your resume and cover letter. For questions or additional information on physician openings, please email physicians@anthc.org or call 907-268-9604.